The military alliance does not compare Russia with Islamic State (IS, formerly ISIS/ISIL) terrorism since it does not measure whether one threat is worse that another, but deems them both as “challenges,” NATO's former Secretary General told RT on the sidelines of the annual Munich Security Conference in Germany. 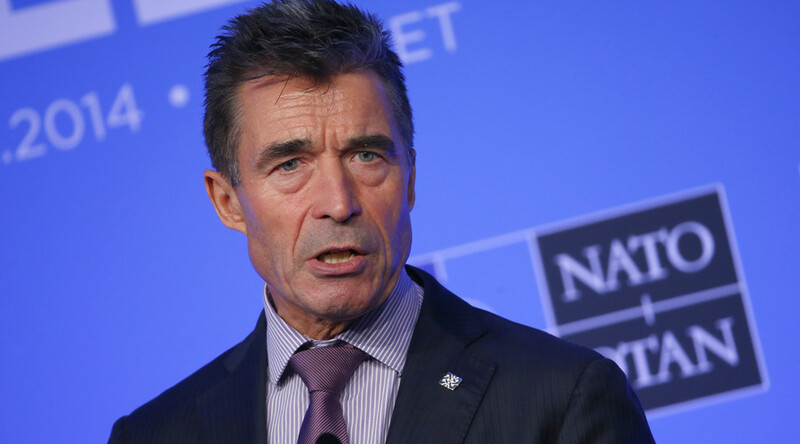 The so-called “territorial challenges” which NATO faces according to Rasmussen are apparently tensions along Russia’s borders, namely the Ukraine unrest and concerns over Moscow’s potential “aggression” across other Eastern European states. Rasmussen believes the tensions are Moscow’s own strategy; to set its own borders ablaze to keep NATO out, and not a result of the bloc's expansion into post-Soviet countries. “It is Putin’s strategy to keep conflicts in the near neighborhood similarly or frozen, because he knows if that he can keep these conflicts similarly or frozen then he will keep his neighbors dependent on the Kremlin and economically weak, and he will prevent them from seeking Euro-Atlantic integration with NATO and the European Union,” Rasmussen said. To prevent Russia from pursuing this alleged “strategy,” NATO should do its best to implement the Minsk agreement, which is rather confusing since Russia itself has constantly been calling the warring sides of the Ukrainian civil war to stick with this deal for the past two years. 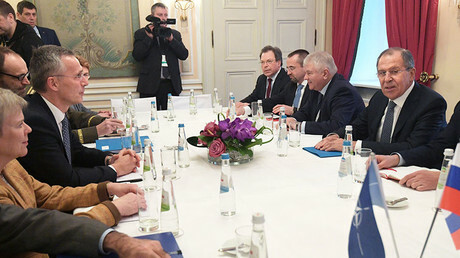 “This is also the reason why we should focus on the implementation of the Minsk deal. And the ultimate goal should be to restore full Ukrainian control with the eastern borders,” Rasmussen said. While NATO is refusing cooperation with Russia, it is ready for “dialogue,” and Rasmussen fully supports the US approach to talks with Moscow from a position of strength and even refers to a “very successful” Cold War experience. 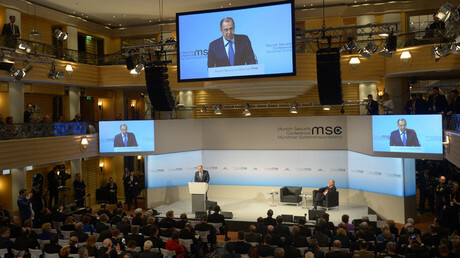 But according to Russian Foreign Minister Sergey Lavrov, political dialogue and diplomacy do not make any sense without the resumption of military cooperation. “What kind of relationship do we want with the US? One [based on] pragmatism, mutual respect, and an understanding of special responsibility for global stability,” the Russian FM stated. The stealthy approach of “dialogue from a position of strength” seems to even apply to Washington’s own allies, whom the US has pressured to contribute their “fair share” of 2 percent of GDP on maintaining NATO.